Wow! 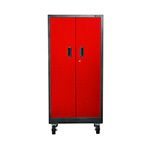 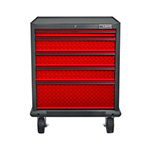 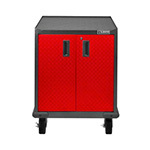 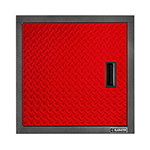 This gorgeous Gladiator Premier set (fully welded) in red offers everything you need to get started with a garage organization system. 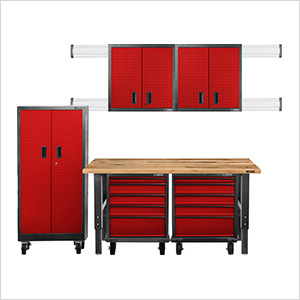 This kit offers a height adjustable 6-foot hardwood top workbench, 2 fully-welded upper cabinets, one 66-inch tall GearBox, 2 Modular GearDrawers, 2 sets of GearTrack Channels for a total of 16 linear feet, one set of end caps and 2 sets of color-matching screws.